PETA CEO Ingrid Newkirk may be a vegan, but she is acting like vulture circling a carcass. Karl Lagerfeld has gone, and his passing marks the end of an era when fur and exotic skins were seen as covetable. PETA sends condolences to our old nemesis's loved ones. The fact that PETA—which killed more than 70% of the cats and dogs received last year—would go after a man who loved his cat so much he called her his daughter is tasteless. Lagerfeld pampered his cat to a level most pet owners would dream, often keeping the cat with him during his travels and giving the cat her own room. Considering PETA has given thousands of cats under its custody little more than a euthanasia needle, it’s clear who the real animal lover is here. PETA has a long history of targeting Lagerfeld for his use of animal furs and skins in many of his designs. It’s one thing to disagree with someone, but another to insult the recently deceased. Once again PETA has shown that it does not care about anything other than inserting itself into conversation in the most unpleasant way possible. We are officially in hurricane season. For animal rights groups with no moral decorum, that means fundraising season. In one notable case, two PETA employees were criminally charged after they were caught killing animals and dumping the bodies in North Carolina. Now, PETA may be back in the state after Hurricane Florence hits. It’s just a short drive from PETA HQ. PETA is not a legitimate rescue organization and so any charity towards relieving the impact of hurricanes on people and animals alike would go much further at an actual organization that specializes in disaster relief. PETA has in recent weeks been wasting money on anti-seafood press stunts, angering local populations who have a longtime history of eating crab, lobster, etc. That’s not helping animals. That’s a marketing campaign. If recent history like the 2016 Louisiana flooding is any indication, PETA will be raising money and deploying itself to North or South Carolina to allegedly rescue animals. But we have not seen an accounting of what happened to the animals in the past, or what PETA did with the money it raised. How many of those animals were killed? Pet owners should take proper precautions as major storms are not to be brushed aside as minor concerns. There are plenty of organizations and shelters that will be helping out and need financial support from those who are able to give. PETA isn’t one of them. Unsurprisingly, PETA’s most recent “victory” didn’t help a single real animal. The vegan loonies are currently celebrating Nabisco changing its animal crackers box design this week. While the box art has—for 116 years—featured the animals in enclosures, the new design features the animals outside cages. Nabisco made the change after getting an unsolicited letter from PETA. Animal crackers mascots are not real animals. They are illustrations on a box. An artistic design. Since PETA has now anointed itself as art censor, what other works can it go after? The Lion Tamer by Max Beckmann is a 1910 work of art featuring a lion and his trainer in a circus. Obviously, PETA is opposed to the use of animals in entertainment—even depictions, as recent news proves. PETA would likely prefer this art out of the public eye, or even out of existence. And what about Isaac van Amburgh and his Animals painted by Sir Edwin Henry Landseer in 1839? 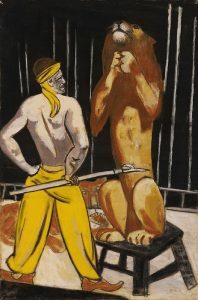 The painting was commissioned by Queen Victoria and depicts the moment one of the most famous animal trainers shared a cage with his animals. Will PETA petition the Royal Collection to liberate the animals from Landseer’s painting? Surely times have changed and it’s no longer acceptable to have such depictions. PETA probably doesn’t mind the man in there though—in fact, PETA members have a history of being behind bars. PETA may also turn its sights on Georges Seuret’s incredibly famous A Sunday Afternoon on the Island of La Grande Jatte. After all, the painting depicts dogs (and a monkey) as pets, and PETA has a vocal history of opposing pet ownership—even to the point of killing pets. Surely, PETA knows better than Georges Seuret how his painting should look. Now that PETA is attacking artistic depictions of animals, it shows just how rabid the group has become over the years, unable to separate reality from fantasy. The Ringling Brothers Circus may have closed up last year, but PETA’s recent feats have proven to be a circus of their own. We received notice today that PETA will be handing out awards on Thursday night in advance of the Presidential Inauguration. Awardees include Reps. Sheila Jackson Lee (D-Texas), Dina Titus (D-Nev.), Earl Blumenauer (D-Ore.) and Vern Buchanan (R-Fla.). We’re wondering: How much does the party cost—it’s at the ritzy Willard hotel in D.C.—and how many animals could that money have saved from death at PETA’s own hands? 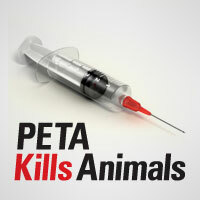 Since 1998 PETA has killed 35,000 animals at its headquarters, while wasting money on countless press stunts. The event is being hosted by longtime PETA spokes-bimbo Pamela Anderson and political strategist Mary Matalin. Curiously, Matalin is married to political consultant James Carville—reportedly a big fan of The Palm, a high-end steakhouse. In fact, Carville said last year that he and his wife re-opened the Caribbean Room at the Pontchartrain Hotel in New Orleans. The menu there includes animal products in every dish—including foie gras, a big PETA no-no. Do you want Members of Congress taking legislative tips from PETA—a group so crazy that its president calls pet ownership an “abysmal situation”? 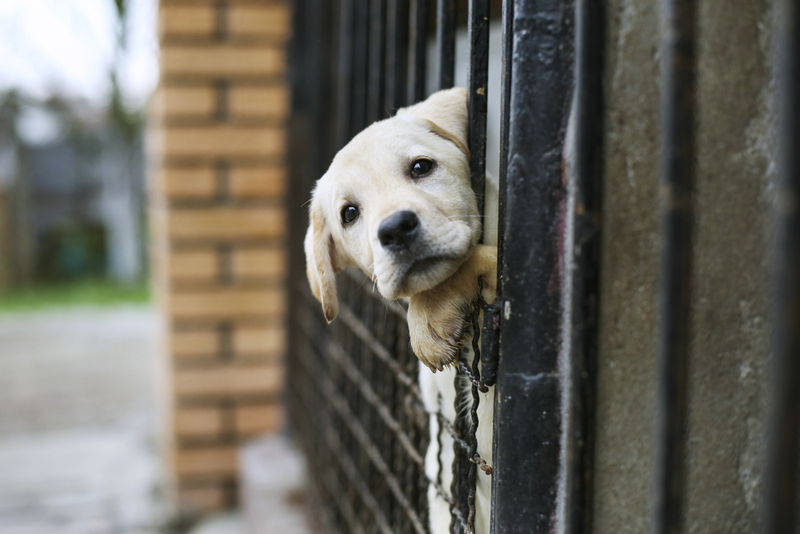 Do these legislators endorse PETA’s vision of killing healthy, adoptable animals and banning everything from bacon cheeseburgers to zoos and aquariums? And, please do spread the word on Facebook and Twitter. If there’s one thing most Americans on both sides of the aisle can agree on, it’s that if PETA makes policy, the country is truly going to the dogs. PETA, say hello to 2017. Last Thursday, the animal rights group was slapped with a defamation lawsuit filed by a primate facility in Missouri. That follows a belated Christmas present PETA received the previous week: A second defamation lawsuit, this one filed by a zoo in Michigan. Both lawsuits claim to be responding to PETA harassment, and it’s certainly great to see people sticking up for themselves against animal-rights bullies. Both facilities claim that PETA has been threatening to sue them under the Endangered Species Act to try to take away their animals. The frivolous theory goes roughly like this: The ESA prohibits “taking” endangered species, meaning to “harass, harm, pursue, hunt, shoot, wound, kill, trap, capture, or collect.” It seems clear this is meant to apply to creatures in the wild, but PETA believes that zoos are a form of slavery and imprisonment, and so it’s hoping to use the courts to do what it would never get through elected representatives. Sound familiar? This was the same legal theory floated by the Humane Society of the United States in a lawsuit one of its entities pursued against the Ringling Bros. circus. That lawsuit fell apart spectacularly when the court found that HSUS and other groups had secretly paid their key witness almost $200,000 (see here for one check from HSUS CEO Wayne Pacelle) and that this witness has lied under oath. Ringling Bros.’ owner countersued HSUS and others and got $25 million in settlement. We can only hope similar fortunes await for the facilities suing PETA. Perhaps PETA should save the money for its defense counsel. People for the Ethical Treatment of Animals (PETA) sure has a weird way of showing what it’s all about. In a recent lawsuit against the organization, PETA is accused of stealing and murdering a Hispanic family’s beloved dog named Maya in southeastern Virginia. PETA’s response has hit a new low in hypocrisy and stupidity. It has filed several motions to dismiss the case on the grounds that the dog was legally worthless and that what they did was not “outrageous” conduct. This from the group that tried to make the case that killer whales housed at SeaWorld should legally be considered slaves and released because of the 13th amendment. That’s like saying the burglary victim asked for it by leaving his back door unlocked. And the gross euphemism of “removed” highlights the contempt with which PETA has for people’s pets like the deceased Maya. Surveillance video of the theft shows that it was quite obvious that Maya was obviously not a stray dog. The footage shows a dog sitting on her porch, timid of the intruders, and only willing to leave the porch briefly because of the coaxing of the two defendants in this case throwing a biscuit to her. But like most dogs belonging to a family, Maya returned – to dismay of the defendants – to the safety of her porch. Unfortunately for Maya this did not stop the defendants from trespassing illegally onto the property and ripping her from her home. Maya was killed that very same day. Don’t mistake this tragedy as an isolated incident, PETA routinely engages in the activity of killing domesticated animals like Maya every year. PETA’s body count exceeds 30,000 animals and its sympathy seems nonexistent. Justice may be served in the end for the family of young Maya, but that will do little to rid them of the grief of a family and their young child losing their loyal furry companion.